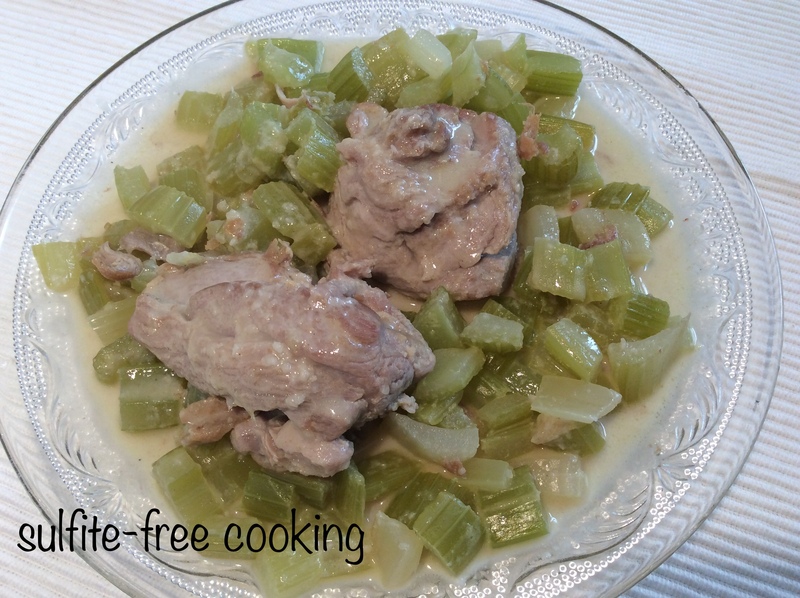 a recipe that will make you change your mind about celery! I know a lot of you out there are not great fans of celery ; this was certainly the case of my Significant Other, until I came up with this recipe. Stop listening to your taste buds and please let me promote this vegetable in an attempt to win you over to the Celeriac side of the Force ! I put on my Sherlock Holmes outfit and this is what I found out… This vegetable loves you! And it’s letting you know right on Valentine’s Day too! To start with, celery is a hypotensor, which helps lower your blood pressure, thanks to the phtalids, calcium, magnesium and potassium contained in this humble vegetable. Hippocrates used it to calm the nervous system. It also contains molybdenum, which some sulfite-intolerant folks take as a dietary supplement in order to reduce their symptoms ; flavones and flavonols, like with apples, give it natural anti-inflammatory properties, helpful to fight asthma, arthritis and chronic inflammation. It is rich in water and fiber, thus contributing to what one might euphemistically call your « digestive comfort » 😁. It also helps liver function. It is also rich in vitamin C, but in this recipe it will be destroyed in the cooking process ; so remember to eat it raw as a snack (my regular favorite : eaten with a nut butter and a few apple slices) or include it in a salad, such as my Waldorf quinoa salad ! Not convinced yet ? Please allow me to give you one last argument, even if it is, well, hum, a little risqué : Madame de Pompadour, a famous mistress of French king Louis XV, used to eat celery in order to look better and also, hum, hum, «perform better », and so did Casanova ! NOTE: the proportions are doubled in my photos – I like to double recipes in order to have leftovers ! 1. In a heavy saucepan (I like my Dutch oven here; you want something with a tight fitting lid), quickly sautee the meat in olive oil. For a vegetarian meal, just heat up the oil and move on to step 2. 2. Add the tsp of sulfite-free mustard, 1 TBSP water (no need for more, the celery will let out its own as it cooks), a pinch of coarse salt, and the celery. Stir to combine, cover, lower and cook 15 to 20 minutes. 3. Meanwhile, « dry » millet over medium heat in a non-stick saucepan, add 200 ml (=6.75 oz ) water, some salt, cover and cook over low heat for about 15 minutes after water starts boiling. 4. Once celery is cooked, add 2 tsp tahini to the juices. Stir to mix until sauce looks homogenous and creamy. The sesame touch is perfect here ! Turn off heat. and makes the sauce creamier. 5. If you choose to go vegetarian on this dish, now is the time to pan-fry the tofu separately. To me, this option is a little bland, but frankly I am not an expert on tofu ; maybe a little mustard would do the trick ? Pour the sauce over the protein and celery before serving with the millet. Enjoy ! Celery is a vegetable that my husband really doesn’t like in any shape or form. I can get away with putting lots of different vegetables that he doesn’t particularly like in lots of dishes but not celery. However, I may try this recipe on him, not sure if he’ll like it. Was interesting to read all the benefits of celery. I enjoy eating it raw. My husband changed his mind after eating it this way. We have already had it four times since I came up with this recipe. And no asthma, which thrills me! He hasn’t needed his inhaler in almost four months now. (Last real bad reaction was in the U.S. when he decided to splurge on forbidden foods 😡) What a blessing to see him healthy again. Thank you for your comment, Jillian.